A Fisker Karma caught fire and burned to the ground, according to investigators and the car’s owner. 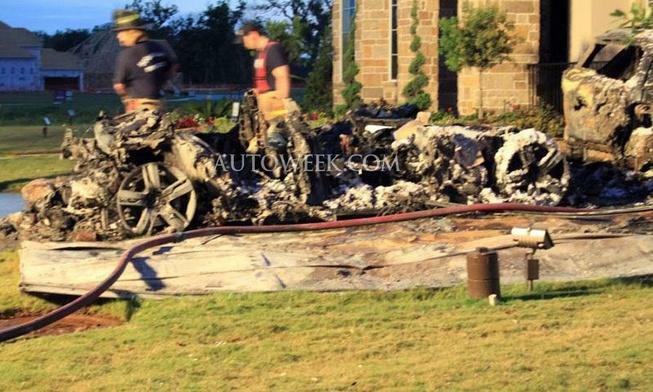 The approximately $100,000 luxury extended-range electric vehicle did approximately $100,000 in damage to a garage and house in Sugar Land, Texas. The owner reported smelling burning rubber as he pulled the Karma into the garage. Less than three minutes later, the car was on fire. As the above photo shows, the fire was pretty aggressive. The fire department is unsure of the exact cause of the fire, but is sure that it started with the Karma. “Yes, the Karma was the origin of the fire, but what exactly caused that we don’t know at this time,” said Robert Baker, the chief fire investigator of Fort Bend County. 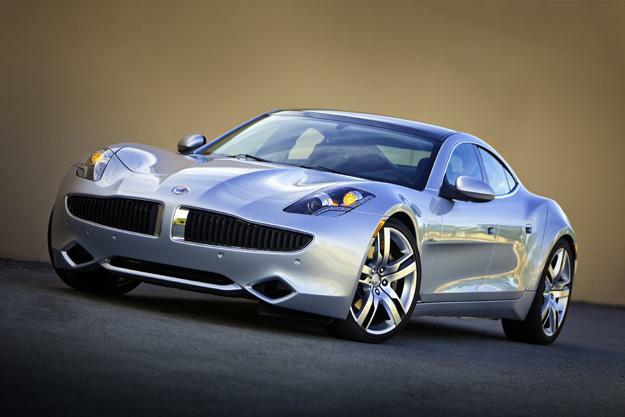 Fisker, along with several insurance companies, is joining the investigation. While the company is not commenting on the potential source of the fire, it was quick to note that the Karma’s lithium-ion battery pack survived intact. Because of this, Fisker does not think the fire was caused by the batteries. “Based on initial observations and inspections, the Karma’s lithium ion battery pack was not being charged at the time and is still intact and does not appear to have been a contributing factor in this incident,” the company said. As with any new technology, Fisker has been an uphill battle to prove that its powertrain, which combines an electric motor with a gasoline engine-generator for charging the batteries, is safe. Last December, Fisker recalled 239 Karmas due to an improperly placed hose clamp, which could have caused coolant leakage and battery pack fires. Fisker blamed battery supplier A123 Systems, which delivered the entire battery pack as a sealed unit. The spontaneously combusting Karma in Texas was built after the recall; it wore temporary papers tags indicating that it was less than 60 days old. The fire is one of several high-profile incidents that have cast doubt on the Karma’s reliability. In addition to the December recall, A123 replaced battery packs in an undisclosed number of Karmas after one of the cars, owned by Consumer Reports, died due to a defective pack. Cars are complicated machines, so it is difficult to build an entirely new one from scratch. Virtually everything about the Karma, from its electric powertrain to the company that designed it, is new and unproven. With that much newness, glitches can be expected. However, Fisker needs to get these problems under control; a car that randomly bursts into flames is obviously unacceptable. Fisker laid the blame for the two Karma recalls at the feet of A123, but if, as the company claims, the battery pack was not the cause of this fire, then the blame will probably shift to Fisker itself. The company wants to rapidly expand its sales and production capacity with the smaller Atlantic, but is it really ready? It is easier to control quality issues on a low-volume model like the Karma; until Fisker can consistently build reliable cars, it may want to hold off on building more unreliable ones.